After a brief issue with a discrepancy in the maintenance logs that delayed our plane, we finally left Miami and touched down in Port of Spain, Trinidad. The airport in Port of Spain has a very familiar feel to it. It has a distinctly Caribbean atmosphere. All of the employees seem to move at their own, slow pace but with a very positive attitude that is almost contagious. While the airport had a relaxed atmosphere, as we made our way into Trinidad the rest of the area was teeming with energy. As the Caribbean’s top producer of oil and gas, it is clear that T&T’s economy is fueled by the large oil industry. The abundance of oil keeps gas prices low, at around $.60/gallon, which provides an easier access to cars. The overflow of cars driving hastily on the wrong side (well, the left side) of the road can be slightly intimidating. After a surprisingly draining day on and off planes, all I managed to do when we arrived at our home for the week was relax. 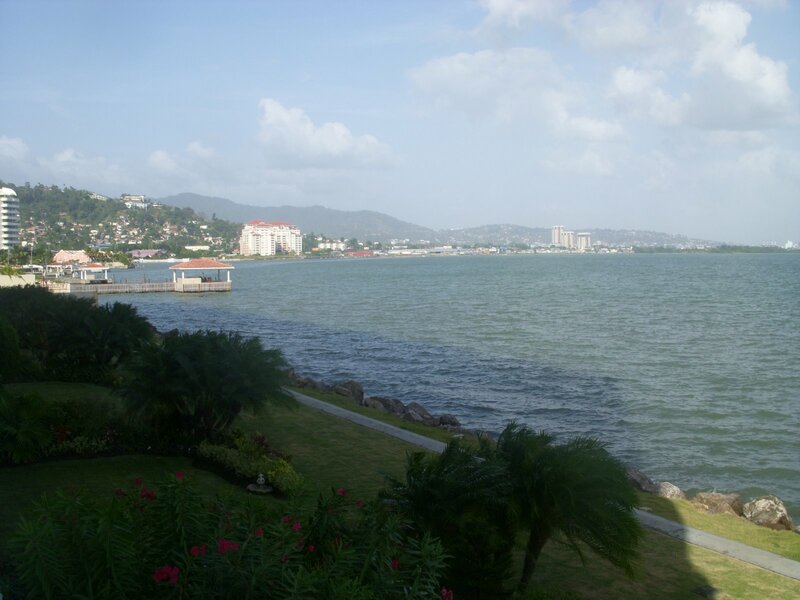 Located a few minutes outside of Port of Spain, the condo sits on the waterfront with a beautiful view of the bay. The huge balcony overlooking the water was an amazing place for a late afternoon nap in the cool, ocean breeze. As daylight faded away the picturesque view of the lights from nearby Port of Spain provided a great end to my first day in Trinidad & Tobago.